If you are viewing the tool using a smartphone or tablet device, you will need to download the free Adobe Acrobat Reader app available in your device’s app store. A complementary print-version of the Franklin County Atlas can be given from our headquarters lobby at 970 Dublin Road, and the Tax Map Office at 373 South High Street, on the 19th floor, free of charge. They are a useful guide for travelling around the county. 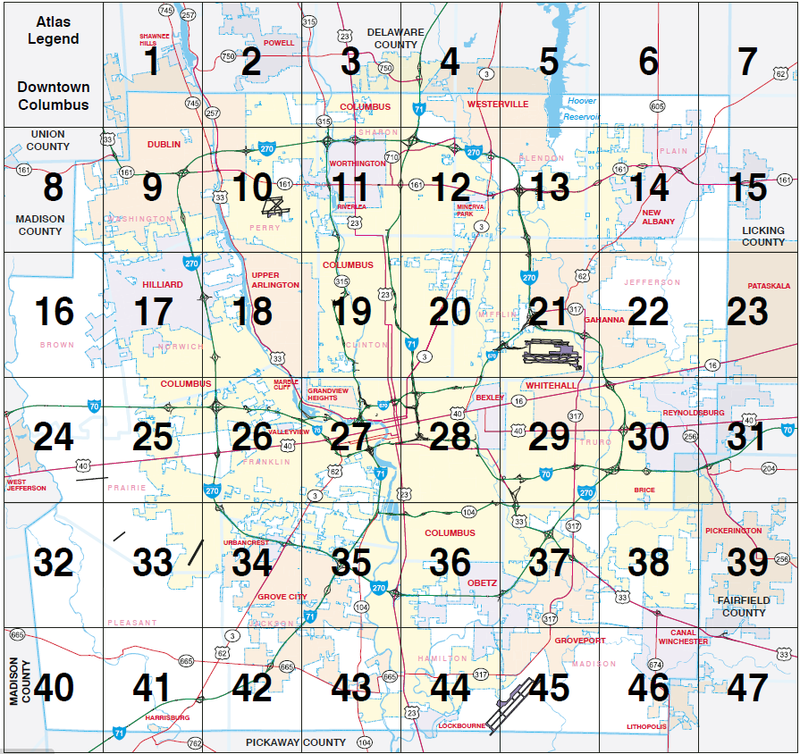 Our Survey and Geographic Information Systems Department has gathered information from numerous public entities such as the Franklin County Auditor’s Office, Metro Parks , Ohio Department of Transportation, and City of Columbus to create the most accurate and comprehensive road map and atlas. Over 1,250 changes were made to our land and highway record data base since the publication of the 2009 edition. Both the map and atlas are printed on recycled paper. For more information about the atlas and road map, please contact Ben McCown, GIS Manager.